This much-used cookbook needed repair. 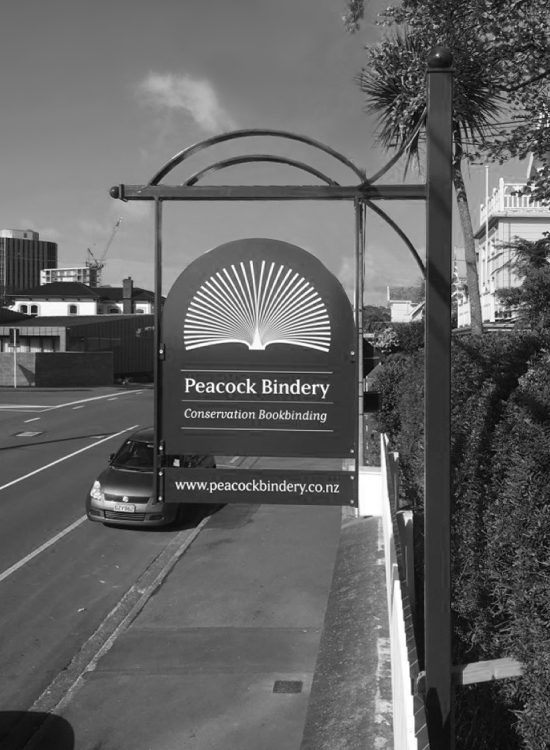 It is a trade case binding where, as often happens, the boards part with the spine. Paper repairs were made and a new spine of matching cloth was incorporated into a new case re-using the original boards. A hollow using strong Japanese paper was added for additional strength. The original spine piece was attached to the new spine. The New York Times Cookbook: spine has parted company with boards. 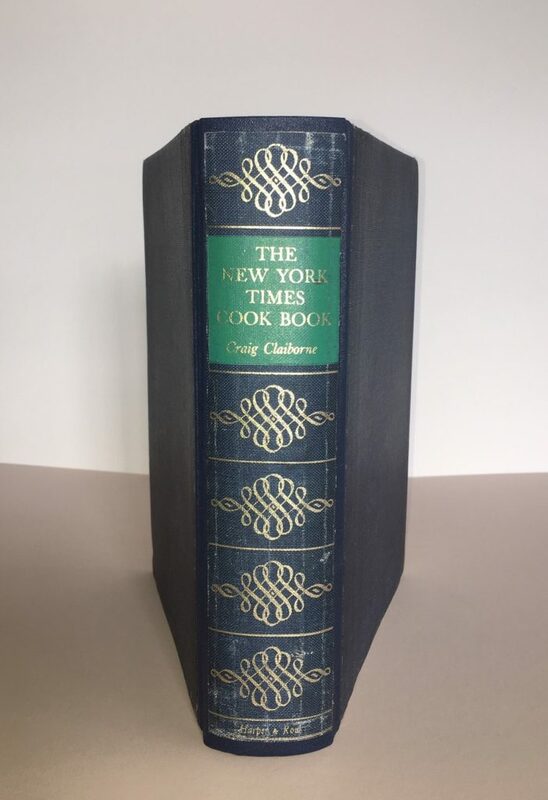 The New York Times Cookbook: original spine – saved for later. The New York Times Cookbook: after repair. 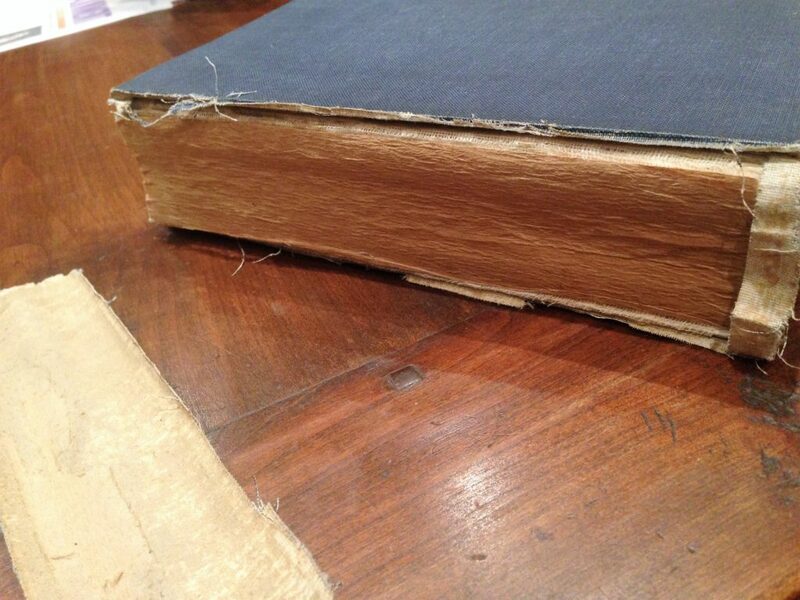 A new case was made using navy blue buckram for the spine and re-using the original boards. 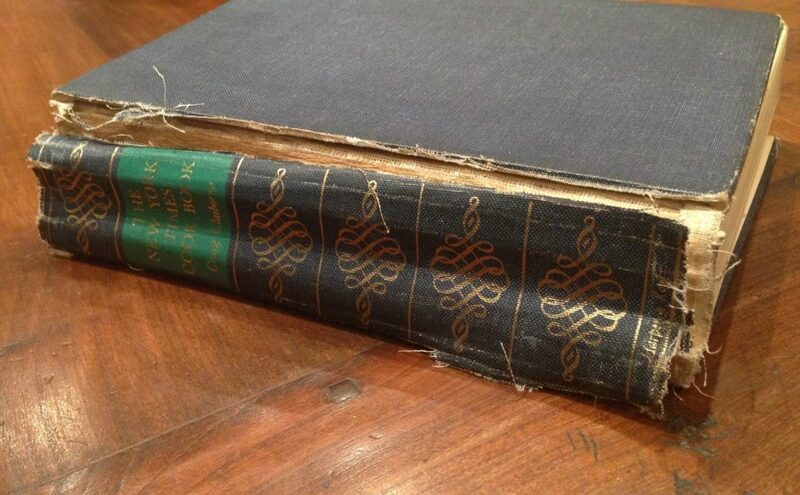 The book was cased in and the original cloth spine containing the title and decoration was glued to the new spine.